At that time、the one who had power was the Choshu-han of sonno jyoui ha. The Satsuma-han , who thought it was an obstacle, formed hands with the Aizu-han. and on august 18,It took in the koubu gattai of the imperial court and succeeded in kicking out the sonno jyoui ha from Kyoto. 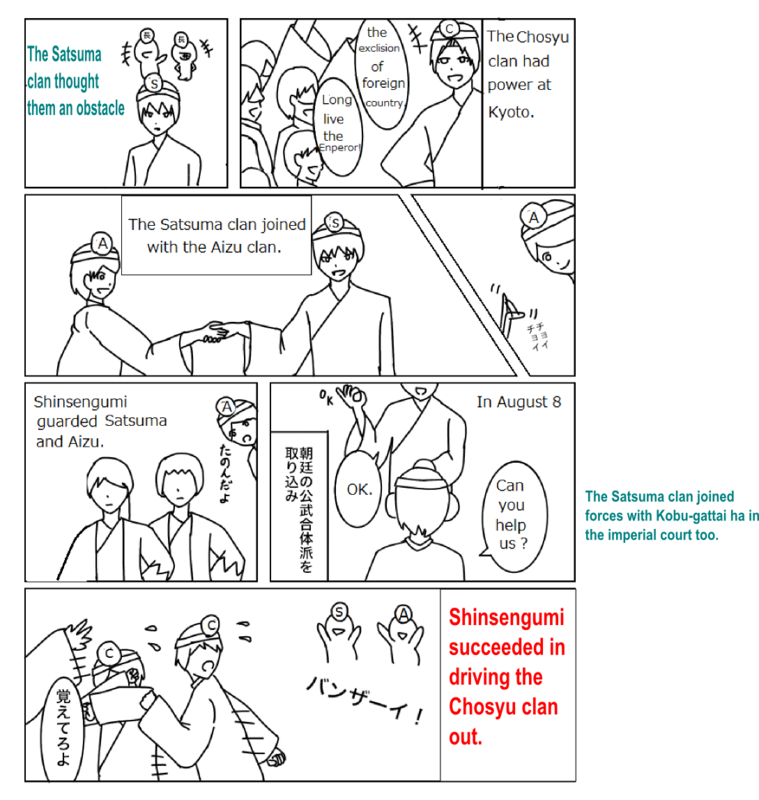 At that time, the Shinsengumi has guarded and has a track record. And from this point, the koubu gattai ha got the power.